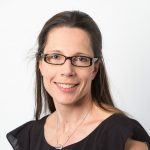 Dr Minni (Minna-Liisa) Änkö heads the RNA Biology in Health and Disease laboratory, holding a joint appointment at the Centre of Reproductive Health and Centre for Cancer Research. Minni obtained her PhD from the Åbo Akademi University in Finland. She was a post-doctoral fellow at the Max Planck Institute of Cell Biology and Genetics, in Dresden, Germany 2006-2011, supported by a Sigrid Juselius Foundation Post-doctoral Fellowship. Minni moved to Australia in 2011 when she received a Jane and Aatos Erkko Foundation Fellowship, and worked as a visiting scientist at the Australian Regenerative Medicine Institute, Monash University. 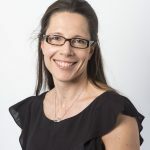 She then continued her research as a senior research fellow at the Walter and Eliza Hall Institute (2012-2013) until establishing her independent laboratory at the Monash University in 2014 and relocating to Hudson Institute in 2018. The RNA Biology in Health and Disease Laboratory investigates gene regulation via RNA processing by combining wet and dry lab approaches. The team aims to crack the RNA code of cells by investigating how RNA binding proteins tune the gene expression output in various types of stem cells, during early development and in specialised cell types. Importantly, by understanding the underlying mechanisms of RNA regulation we gain critical insights into how aberrations in the RNA machinery result in genetic disorders and cancer. Nejad N, Pillman KA, Siddle KJ, Pépin G, Änkö ML, McCoy CE, Beilharz TH, Quintana-Murci L, Goodall GJ, Bracken CP and Gantier MP (2018) miR-222 isoforms are differentially regulated by type-I interferon. RNA 24:332-341. Ratnadiwakara M, Archer SK, Dent GI, Ruiz De Los Mozos I, Beilharz TH, Knaupp AS, Nefzger CM, Polo JM, and Änkö ML (2017) SRSF3 promotes pluripotency through Nanog mRNA export and coordination of the pluripotency gene expression program. eLife May 9; 7. Bao X, Guo X, Yin M, Tariq M, Lai Y, Kanwal S, Li N, Lv Y, Pulido-Quetglas C, Wang X, Ji L, Zhou J, Khan MJ, Zhu X, Luo Z, Shao C, Liu X, Li N, Wang W, He M, Wang T, Zhang G, Wang D, Yang J, Chen Y, Zhang C, Jauch R, Yang Y, Wang Y, Qin B, Johnson R, Änkö ML, Hutchins AP, Sun H, Wang H, Fu X, Zhang B and Esteban MA (2017) Capture of newly transcribed RNA interactome using click reaction. Nature Methods 15:213-220. Kim EJY, Änkö ML, Huang DCS, van Delft MF and Heath JK (2017) BAK/BAX-mediated apoptosis is a Myc-dependent roadblock to reprogramming. Stem Cell Reports 10:331-338. Ratnadiwakara M, Mohenska M and Änkö ML (2017) Splicing factors as regulators of miRNA biogenesis – links to human disease. Seminars in Cell and Developmental Biology. Published online Nov 2017. Änkö ML (2014) Regulation of gene expression programs by serine-arginine rich splicing factors. Seminars in Cell and Developmental Biology 32:11-21. Änkö ML and Neugebauer KM (2012) RNA-protein interactions in vivo: global gets specific. Trends in Biochemical Sciences 37:255-62. Änkö ML, Müller-McNicoll M, Brandl H, Curk T, Gorup C, Henry I, Ule J and Neugebauer KM (2012) The RNA-binding landscapes of two SR proteins reveal unique functions and binding to diverse RNA classes. Genome Biology, 13:R17. Änkö ML, Morales L, Henry I, Beyer A and Neugebauer KM (2010) Global analysis reveals SRp20 and SRp75–specific mRNPs in cycling and neural cells. Nature Structural and Molecular Biology 17: 962-970. Sapra AK, Änkö ML, Grishina I, Lorenz M, Pabis M, Poser I, Rollins J, Weiland EM, Neugebauer KM (2009) SR protein family members display diverse activities in the formation of nascent and mature mRNPs in vivo. Molecular Cell 34:179-190.